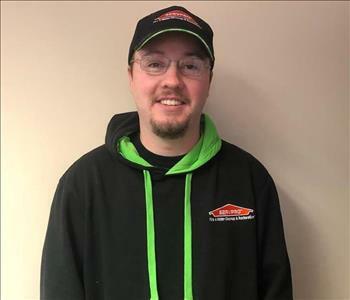 Dave Harrell is the Production Manager at SERVPRO of Jamestown/Olean. He has several years of experience and has the following certifications from the Institute of Inspection Cleaning and Restoration Certification (IICRC): Water Restoration Technician, Applied Structural Drying, and Commercial Drying Specialist. Dave also has his Employee Certification Training Program (ECTP), Mold Abatement Certification and is a trained Bio Recovery Technician. 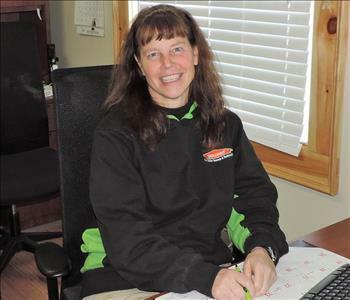 As a business owner having over 20 years of accounting experience, Helen is excited to be a part of the SERVPRO team as the office manager. Helen enjoys gardening, endurance (horseback riding) and her "puppies", Mutley and Miley. Tony Bonura is a Lead Technician with over 10 years experience in restoration and rebuilding. 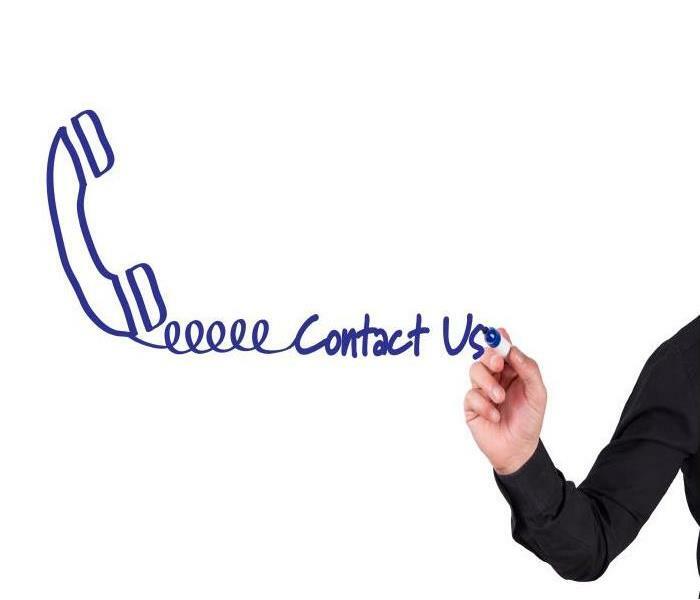 Tony is IICRC certified in fire/smoke, water damage restoration and odor control. Tony is also RRP certified and has completed the OSHA Hazardous Recognition training for construction. 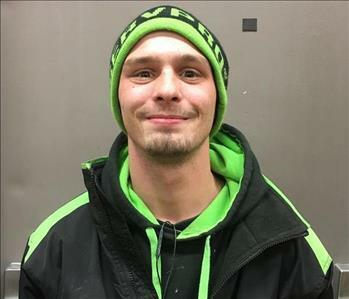 Tony enjoys spending time with his family, working on his house and 4-wheeling. Matt is one of our project managers/estimators. He graduated from Western Carolina University, and is IICRC certified for Applied Structural Drying and Water Restoration Technician. 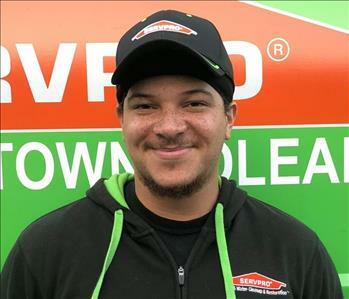 With 4 years of experience in the restoration business, he provides a broad spectrum of skills to SERVPRO of Jamestown/Olean. He lives with his wife, Adele, in Conewango Valley to hear the clip clop of Amish carts in the evening hours and to live close to his daughter and three granddaughters. Randy is our construction manager, with 40+ years of experience in the construction industry. He has a NYS mold certification, as well as a lead certification. He enjoys motorcycling, fixing things around the house, yard work, restoring old tractors, and spending time with his 4 grandchildren. Renee is our Operations Manager. 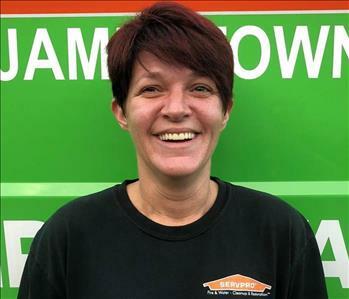 She and her family moved to New York, from Northeast Tennessee, to join SERVPRO of Jamestown/Olean, and help the company grow. She graduated from Southeast Academy, attended Horry Georgetown Technical College, and also ran her own asbestos remediation company. She brings more than 12 years of restoration and cleaning management experience, as well as being certified through OSHA and the IICRC with certifications in Odor Control, Fire & Smoke Restoration, Water Restoration, and Applied Structural Drying. In her spare time, Renee enjoys spending time with her two sons. 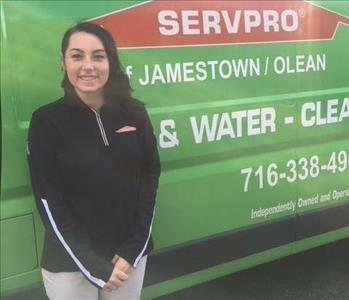 Sophie is a Sales and Marketing Representative at SERVPRO of Jamestown/Olean. Sophie completed her ECTP training and has worked in production on Fire, Water and Cleaning losses. Sophie received her under graduate degree from Bowling Green University. Sophie enjoys healthy cooking, exercising , boating , hiking and taking care of her 30 lb cat .... Big Wally. Garrett Whitmore is one of our technicians who just recently got his Carpet Cleaning Technician certification. In his spare time, he loves hanging out with his children, working on his family's farm, and he also was training as a heavy weight body builder. Melinda is one of our technicians, who is married with ten children and twenty grandchildren. She enjoys fishing, hunting, boating, reading, walking, working on her house, arts and crafts, and spending quality time with her family. Rebecca Knight is a seasoned restoration technician. Becky has the following certifications: Water Restoration Technician “WRT”, Mold abatement and ECTP. Becky's hobbies are work and more work along with Bon Fires in the summer and watching her favorite football team the Oakland Raiders. Becky has a sweet and beautiful 13 year old daughter Kennedy, she also keeps her very busy. 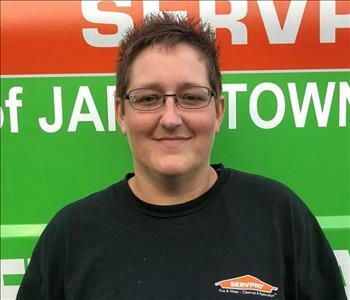 Paula is a fire production manager at SERVPRO of Jamestown/Olean. Paula started out in production and moved up the ranks very quickly. Paula is very organized and an excellent manager. 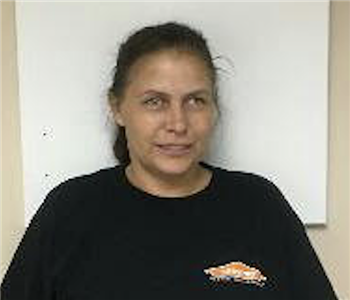 Paula has earned the following certifications: ECTP, Mold, OSHA and Fire Smoke Restoration Technician “FRST”. Paula enjoys her new Granddaughter “Scarlett” , fishing and relaxing by beautiful lake Erie. Anthony is a can do guy. Anthony excels at water and fire loss clean up and mitigation. Anthony has the following certifications: ECTP, Mold and Water Restoration Technician “WRT” . Anthony enjoys the recent arrival of his beautiful daughter “Scarlett”, watching football and playing video games. Cody is a very hard working restoration technician. Cody can work in and assist in all facets of the business. Water, Fire and Reconstruction. Cody has the following certifications: Mold abatement, OSHA and ECTP. Cody loves to deep sea fish and go for the “Big” ones. Cody also enjoys listening to alternative rock and taking care of Angela and their beautiful family of 7 children. Brian is very experienced in many aspects of the restoration business. Brian especially enjoys helping to clean after fires. Soot and smoke cleaning takes skill, time and patience. You need to be very careful as not to cause additional damage. Brian is very good at this segment. Brian likes the outdoors, including hiking, fishing, hunting. He likes to hang out with his family and friends and enjoys helping others, always putting others first gives him joy. 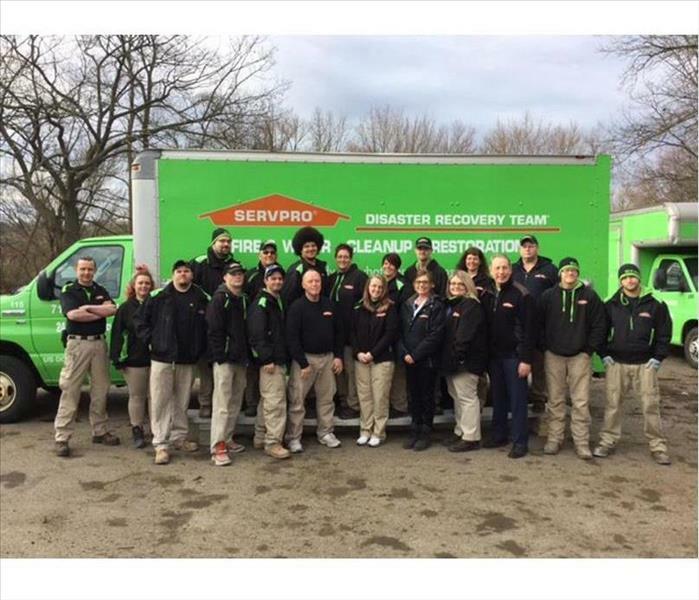 Jessica Is a fire technician with SERVPRO of Jamestown/Olean. Jessica has completed her ECTP training and is also pursuing a BS degree in general management. Jessica enjoys raising her children, reading and the arts.